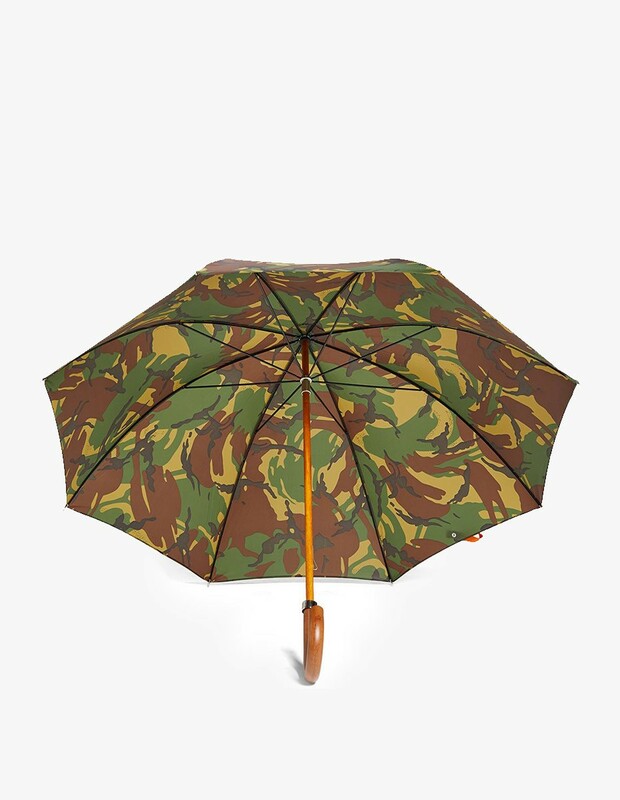 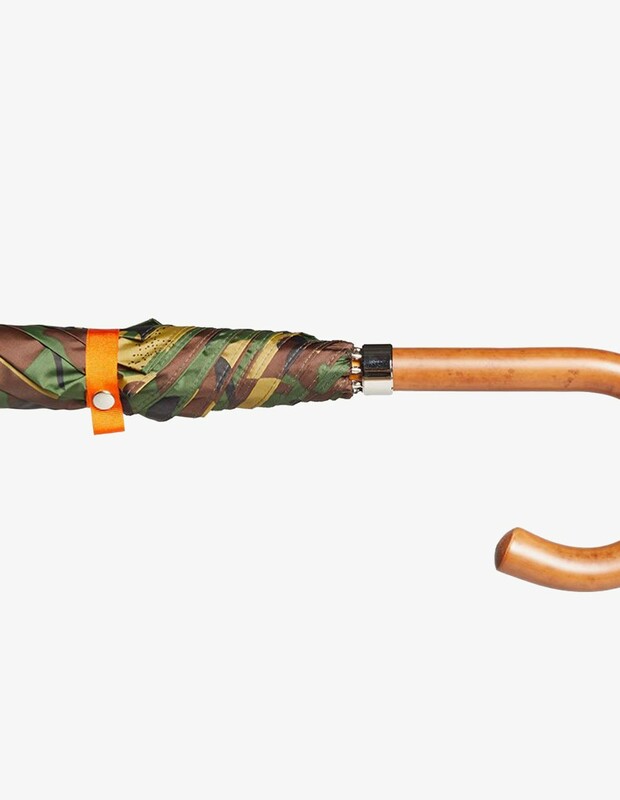 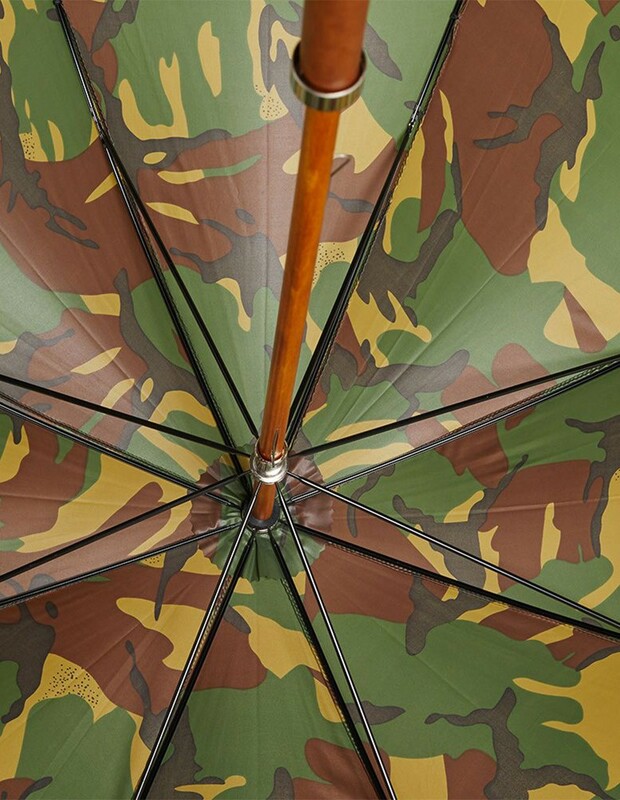 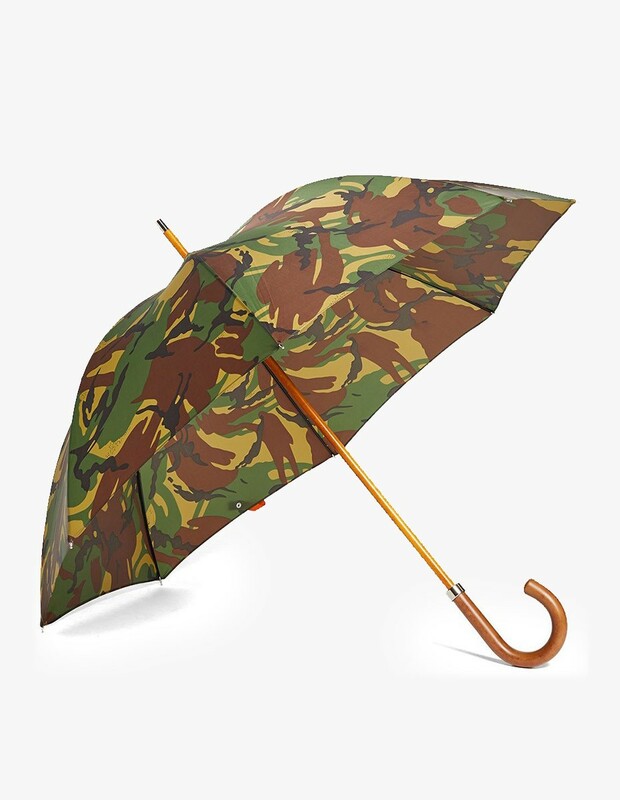 You're looking at the British Woodland Camo Umbrella in British Woodland Camo designed by London Undercover. 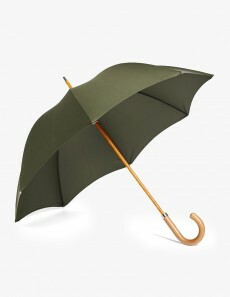 In 2008 British designer Jamie Milestone brought the attention back to a product that is commonly disregarded as disposable and boring. 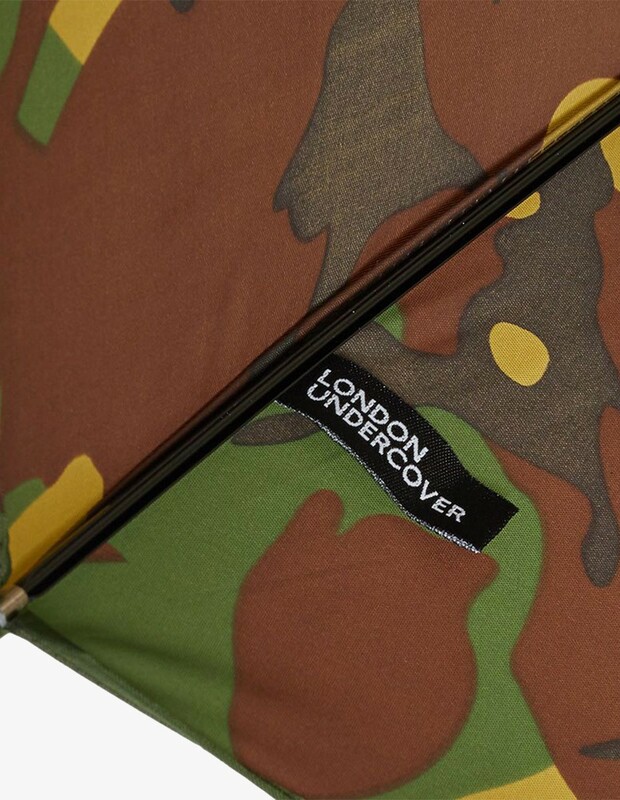 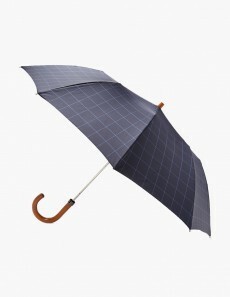 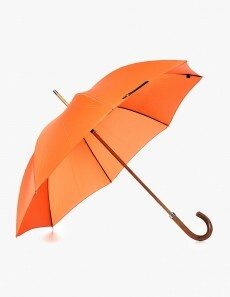 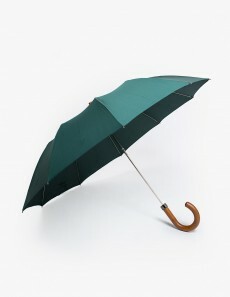 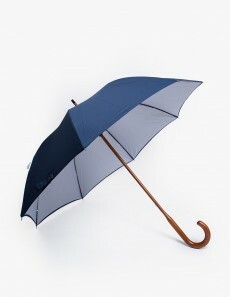 Using age-old traditional techniques, London Undercover celebrates the epitome of British Culture and returns the umbrella to its proper position as an accessory.